Gibbs manufactures high quality wooden surf lures. It's hard to find a good surf plug made out of wood these days. Most manufacturers have switched to plastic, but Gibbs continues to deliver an outstanding product. Choose from a wide range of tested surf fishing lures that will help you catch that big striped bass you've been hunting! 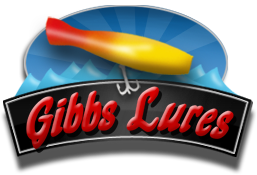 If you love fishing, then give a Gibbs lure a try!